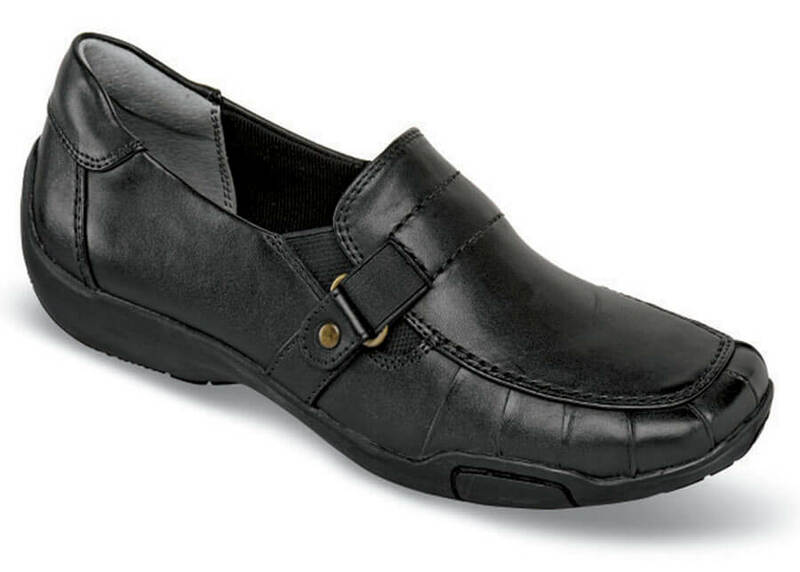 Ros Hommerson’s sporty black "Cynthia" slip-on has smooth leather uppers with pleated vamp detailing, breathing Dri-Lex® linings and stretchable elastic side gores for easy fit. 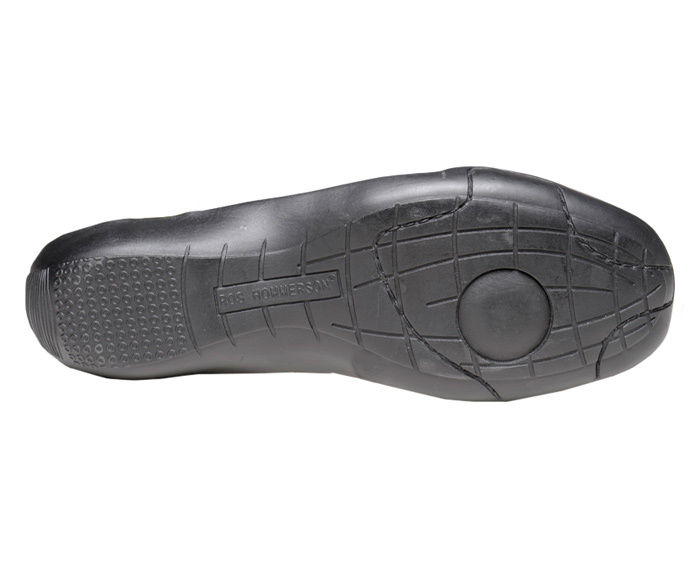 The soft fabric insole has 4 millimeters of Memory Foam. Highly flexible rubber outsoles. Originally $119.95. Limited stock in women's 2E width in sizes indicated.